Feminine fit, sporty stripes and a fancy rib split hem combine in the versatile Elizabel sweater. The simultaneous set-in sleeves, short row shoulders and lightly scooped neckline flatter the upper torso, while gentle waist shaping continues the attention to your curves. Bracelet length sleeves and a refined I-cord neck finish are pretty and practical at work or play anytime. 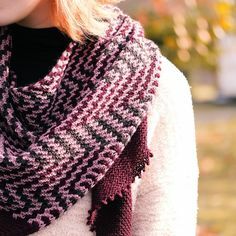 Techniques & Skills Used: cable CO, knit/purl, short rows, picking up stitches, increasing/decreasing, simultaneous shaping, backwards loop CO, provisional CO, applied I-cord, grafting. Size: 30 (32, 34, 36, 38, 40, 42, 44, 48, 52)” bust; sample shown in fourth size with 1” positive ease. Yarn: RYC Cashsoft DK (57% extrafine merino wool, 33% microfiber, 10% cashmere; 142 yards/50g); 5 (6, 6, 6, 7, 7, 8, 8, 9, 9) skeins MC, 2 (3, 3, 3, 3, 3, 3, 4, 4, 4) skeins CC, or approximately 700 (750, 800, 850, 900, 950, 1000, 1050, 1150, 1275) yards MC and 275 (300, 325, 335, 350, 375, 400, 425, 475, 525) yards CC dk weight yarn. 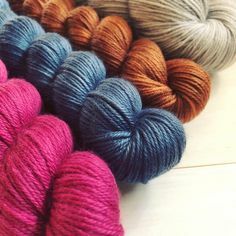 The sample yarn has been discontinued;choose a similar wool or wool blend dk weight that knits to gauge. Other Materials: US 5 (3.75mm) 32” circular needle or size to match gauge; Stitch markers (4); removable stitch marker (1); Stitch holders (2); Yarn needle. Gauge: 22 st and 30 rows/4” in stockinette stitch, after blocking. Can you believe I used to not like stripes?! That’s changed!